Whippets need a lot of meat protein to power them through their day. They expend a lot of energy, requiring long walks, room to run and jump and play. Their diets need to be lean, protein-packed and have enough vitamins, minerals, and vegetables to give them the energy they need. Whippets, an English Breed descendant of the Greyhound, are a regal, steady and ultra-fast running dog. At top speed, an adult Whipp can reach 35 miles per hour. Needless to say, as a Whippet owner, you will need plenty of running room and high fences. This article will examine the Whippet, their health concerns and proper diet ingredients (both must haves and must avoids.). Further, we will provide you with some of the best brands and details on why they are perfect for your dog. In addition to high quality proteins Whippets need to maintain their weight. Whippets can easily overeat and become fat. Treat training, and high crude fat foods can lead to this overeating. A Whippet that isn’t at peak physical condition won’t be very active while running and chasing. 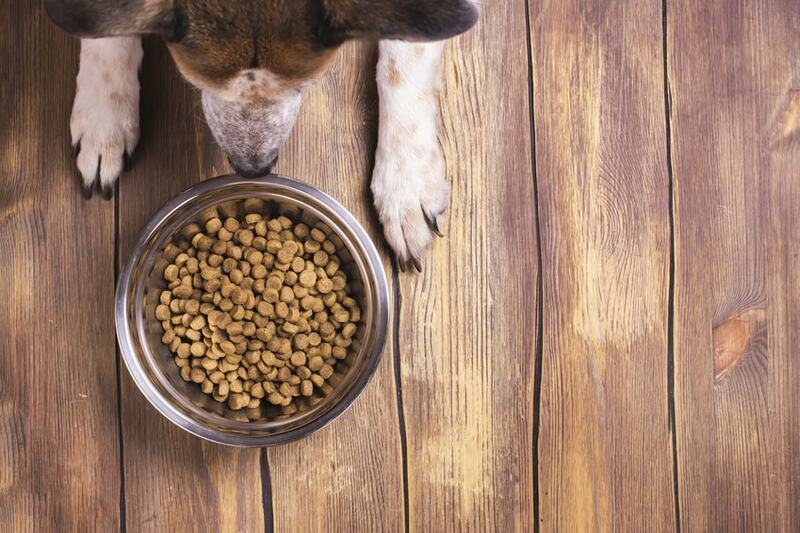 One thing to make sure you look for in your dog food is high crude protein content. This will ensure that your Whipp gets the vital elements he needs to maintain energy levels and build muscle. Vegetables and fruits will give proper and adequate vitamins and minerals to help aid in bone development and digestion. You won’t find all these elements in lower quality foods. Without a lot of supplements and extra care, buying lower quality food isn’t worth it, no matter how much you appear to save in the beginning. High-Quality food will give you everything you need and save you money in the long run. We offer you some of the best brands that provide your Whippet with the best nutrition, crude fats and protein levels. Here is a quick look at our top choices. There are a few health concerns with Whippets you should be aware of. Any reputable breeder will have all puppies screened for these (and other conditions), but it is up to you to do the research and have your particular pup tested for potential issues. Bloat is a very common and life-threatening condition for Whippets. Bloat, also known as a twisted stomach, is a condition where the stomach is enlarged and flips over. If it is not treated, the dog could die within just a few hours. The symptoms are pain when touching the belly, an enlarged midsection, constant salivation, and consistent retching. If you notice these conditions, you need to get your Whipp to the vet as soon as possible. One suspected cause is a large meal or a lot of water consumption just after or just before rigorous exercise. For this reason, it is warned that you shouldn’t feed your pup, or allow them to drink a lot of water at once, within 30 minutes either side of the exercise time. Hip dysplasia is a common genetic condition in medium breed dogs. The basic premise is that the hip joint socket forms irregularly or doesn’t develop properly. When this happens, the dog will have trouble walking, running, getting up off the floor, climbing stairs, or jumping down to the floor from furniture. It is detectable but not often treatable You should have your puppy tested and throughout their first few years during the development periods. Proper nutrition for dogs is important as they contain ingredients that help prevent bone overgrowth, or the puppy growing too rapidly, leading to the condition. While the issue is mainly hereditary, diet, type and amount of exercise and injury can all lead to the condition as well. There are several treatments, including a lifestyle change, diet adjustment or even surgery. Your vet will be able to cover your options and discuss the best course of action for you. Most dogs have some concerns about their health that aren’t common. Whippets are no different. Having your dog regularly examined, tested and evaluated will go a long way to preventing most of the non-genetic conditions. There are a few things you need to ensure make it onto your dog food. The FDA mandates that the ingredient list shows you everything that is in the food in order from most prominent to least available. If it is on the list, it is in the food. You will also need to pay careful attention to the next few ingredients, especially if chicken is listed first. All ingredients are listed by weight and volume before being processed. Chicken has a high water content that adds to the weight. This means that after cooking and processing a lot of that weight is removed. This isn’t a bad thing. However, if the next few ingredients are wheat or wheat products you can almost promise yourself that most of the protein content comes from the wheat and not the chicken. Seeing meat meal listed on the label isn’t a bad thing. Meal is bone meat and the bone ground together to create a meal. This adds to the available vitamins and minerals and the overall meat proteins. While humans shouldn’t eat a meat meal, it is perfectly acceptable to dogs. Their bodies are designed to process and digest this food and will do so happily. Seeing fruits and vegetables on your ingredient list is also a good thing. These add natural vitamins and minerals not found in other food sources. It is always better for your Whipps digestion if these vitamins and minerals are naturally sourced rather than added in later. Just as there are things to include, there are things to avoid as well. You will most likely see wheat and corn on a lot of ingredient lists. These grains are heavy and provide a quick and economical solution to adding proteins to the food. However, like most humans, dogs are not well equipped to process the proteins from wheat and corn. While it is filling, it doesn’t add to the vitamin absorption or processing of proteins once eaten. Some wheat is tolerated and acceptable. However, if the ingredient list has more than two sources of wheat or lists corn or corn meal, you should avoid the brand altogether. Byproducts are a gross meat alternative, to put it mildly. Meat byproduct is essentially the runoff from slaughter. It is the skin, intestines, and all non-human edible ingredients from animals. It is also compromised of expired meats from butchers (packaging included) all milled together to create a meat-like substance. The FDA has declared meat byproduct non-consumable by humans. However, it is still acceptable to have it included in your dog’s diet. Your dog can become ill or diseased from eating too many meat byproducts. If you ever see this on the label, you should put it down and choose another brand. There are several brands out there that you should avoid completely. These listed brands are known to use ingredients like meat byproduct, corn, and artificial flavors, colors and dyes. None of these things or the brands below should ever be in your dogs’ bowl. The three different life stages should be fed slightly different amounts and in different frequencies. The actual amount will vary between individual pups. However, as a starting point, you can use this guide or look at the label of your dog food packaging. Puppies should eat between 1/3 and ½ cups of food per meal, per day. They should also eat two times per day for the first nine to 12 months of life. Once they reach adulthood, the amounts should increase to ¾ to 1 cup per meal, twice a day. Seniors should continue to eat twice per day but should have slightly reduced servings of about ¾ cups per meal. If you think your dog is eating too much or not enough, consult your veterinarian who can help you find the right amount for your pup. As most Whippets tend to be picky eaters, it is important to find a food that not only tastes good but one that leaves little waste. This can be a trial and error process, but we have some of the best and most nutritional brands listed for you here to get you started. Blue Buffalo is well known for high quality, high protein foods. Their approach brings your Whipp only the best ingredients, vitamins and minerals. You won’t find grains in this recipe either. All the protein is from meat sources, with added vegetables for essential vitamins and minerals. The first five ingredients in this tasty recipe are deboned salmon, chicken meal, peas, pea protein, and menhaden fish meal. Easily digested and absorbed for high crude protein and vitamin digestion. Most Whipps enjoy the flavor and leave zero waste. Mixes well with wet food for added protein sources. Some owners don’t want to feed peas to their Whipp. Hard to mix with water for gravy. American Journey is a highly nutritious and vitamin-packed dog food. Their meat sources are naturally selected and contain a minimum of 34 percent crude proteins. The flavors are all natural. You can mix with wet food for higher fat contents or with water for a nice tasty gravy. The first five ingredients are deboned chicken, chicken meal, turkey meal, peas, and sweet potatoes. Easily mixes with wet food or water for easier eating. Most flavors are loved by Whipp. Easy to portion to avoid overeating. Has a higher moisture content than most other brands (10 percent). Contains more salt than some other brands. Human grade foods for dogs is a new, premium service that few provide. NomNomNow does it with several recipes to appease most all tastes and prepares their meals fresh every week. You can find the right recipe for you and have it delivered to your door, prepackaged per serving and ready to go. The first five ingredients are ground beef, white potatoes, carrots, peas, and eggs. Auto-shipping prevents you from running out of dog food. Human grade foods that the dogs crave. Easily portioned in the kitchen for your specific breed, age, and size. Some recipes contain potatoes that the dogs may eat around. Buying in bulk (storage) is an issue to keep all servings fresh. American Journey Puppy Formula gives you more than enough proteins and crude fats for growing pups. High energy levels are maintained through proper diet and proteins. American Journey gives you all of that. You will also find natural and added vitamins and minerals through vegetables and berries. The first five ingredients are deboned lamb, chicken meal, turkey meal, peas, and chickpeas. Easily mixes with wet food or water for gravy. Higher crude protein than most other puppy formulas. High protein sources from meat, not wheat. May not have enough crude fat for some young Whipp puppies. Picky eaters may not approve of all the flavors. The Rocky Mountain red meat dinner from Blue Buffalo is everything your Whipp puppy craves and needs. High in crude proteins, fats and flavor, you will need to keep an eye on the portions. Your puppy will eat this until it is gone and beg you for more. The first five ingredients are beef, beef broth, turkey, beef liver, and potatoes. Easily mixes with most dry foods for added proteins and flavor. Beef and turkey mix well for even the pickiest eaters. All natural sources of proteins and vitamins. May not be enough protein and fats by itself. Can easily be overeaten leading to obesity. Because your Whippet will get used to eating the adult food more frequently, the Now Fresh senior formula helps you keep an eye on their weight, especially during the transition. With a 2.4:1 crude protein to fat ratio, your senior pup will get all the nutrition they need to stay active and healthy. The first five ingredients are deboned turkey, potato flour, apples, pea fiber, and peas. Easy to digest food that doesn’t create a lot of waste. Flavorful to keep the senior and aging dogs eating. Added vitamins to protect bones and teeth into older ages. Can be harder to chew for older teeth. Doesn’t mix well with water for gravy. Blue Buffalo has a wet food option perfect for active seniors. The senior formula is designed to add vitamins and minerals that may be lacking in your Whipp diet and to keep them active and healthy through their later days. The first five ingredients are chicken, chicken broth, chicken liver, carrots, and peas. Great addition to dry food for added proteins. Has flavors and textures older dogs love. All ingredients are naturally sourced and selected for proper nutrition. Doesn’t contain as much chondroitin as other senior brands. Isn’t viable enough for a stand-alone for most Whippets.